After almost 4 decades at his potter’s wheel, Ted says that making pots is more challenging now than when he first began, as his motivation is purely the expression of his ideas and creativity. He has now developed a mastery of the medium that allows him to take his experimentation further than ever before. My inspiration comes from small windows that open in my mind and I am careful to document the ideas when they come. Working on a potters wheel, with fluid motion, is such an integral part of the process. These inspirations are often modified, as the three dimensional image that evolves gives extra instruction on how the object should look. 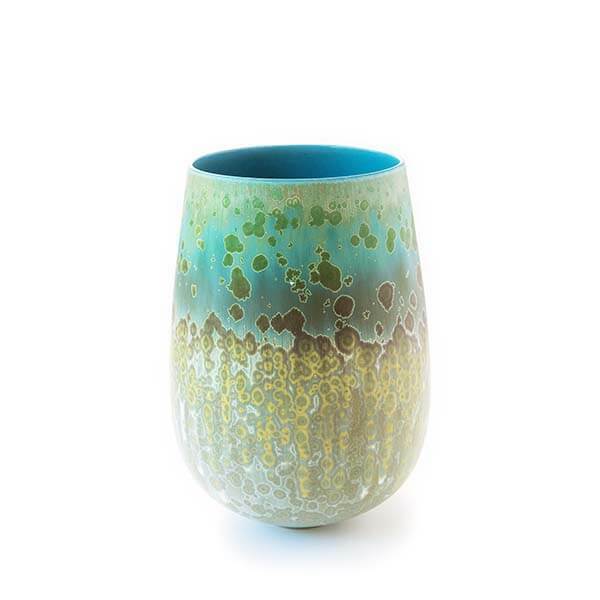 Although Ted is known for his beautiful crystalline glazes, these form only a part of his pallette. 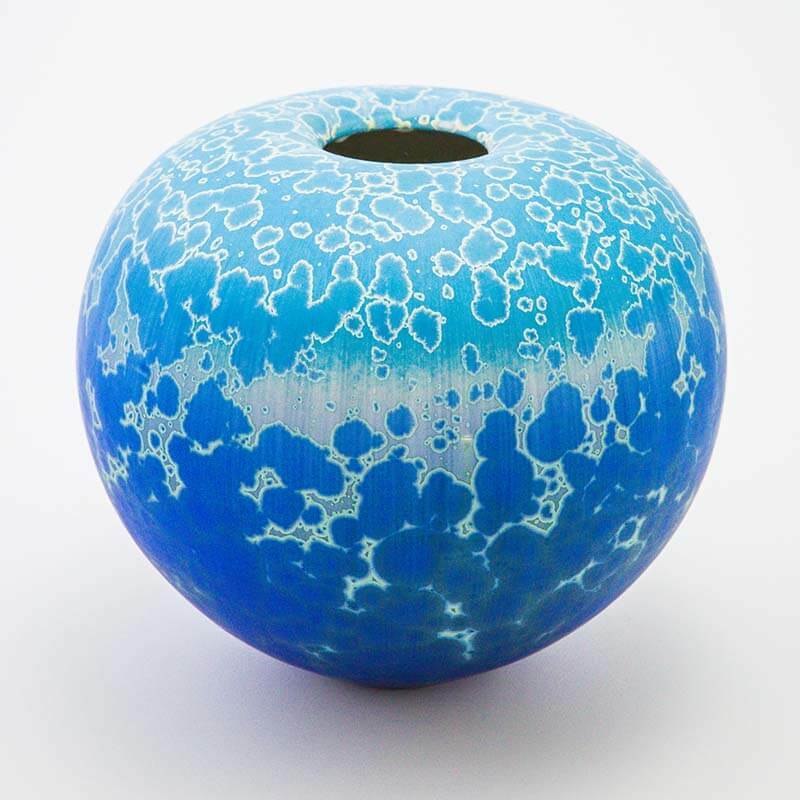 He has worked and has experience in almost all glaze genres. Ted has an extensive exhibition record both in Australia and Internationally and his work is represented in nearly 40 public collections worldwide.